The team at CenterStage Geelong is proud to welcome the towering presence of Freddie Mercury to Geelong...a custom project designed and fabricated by CenterStage Geelong team. “The process was interesting. From working with a 30cm replica statue to creating and refining the clay models, to ultimately the final stages of producing the 3metre tall fiberglass product." 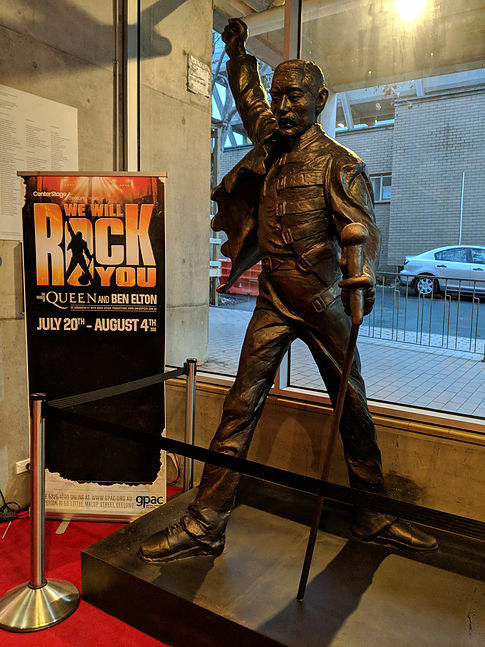 Freddie Mercury is now on view at the Geelong Performing Arts Centre and will be onstage for We Will Rock You opening July 20 to August 4th. Click here for the full story and to check out a full picture gallery.